NOTE: Table Top is NOT Included. Please inquire about better shipping rate for 5 or more racks. Please email us with your zip/postal code and let us know specifically which racks you are interested in, we can see if we can provide a better rate. Stunning wooden wine racks in European Beech, toasted maple and sapele (african mahogany). 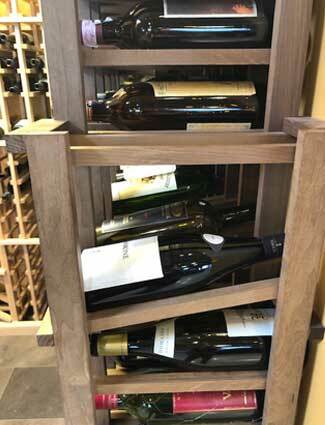 These wood racks for wine are 13 1/2" deep - full wine bottle depth in a large selection of styles and options to create the perfect customized wine cellar. 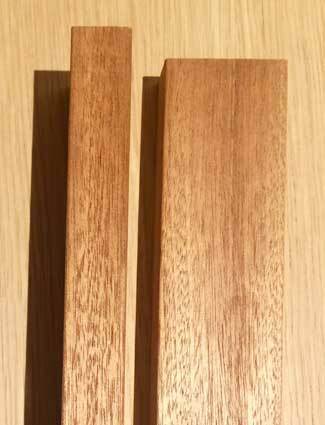 You get the best of quality construction from any wooden wine rack kit on the market. The depth, thickness and angle displays allow for custom features at a kit racking price. 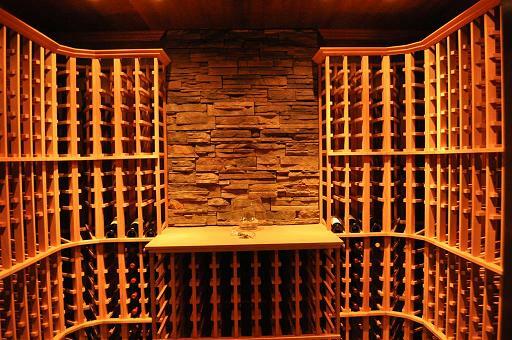 Mix and match the modules to build a great looking customized wine cellar. Many of the modules can easily be cut to allow for custom fit. Decorative base & crown is included with each rack - this extends the height and depth of the racking to a full height of 88" or 73 9/16" respectively. 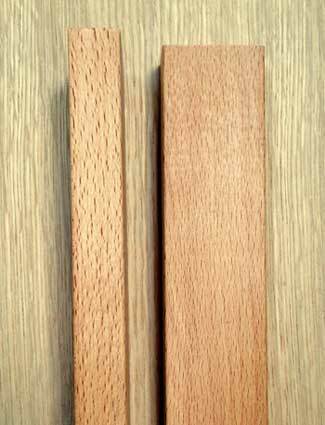 Our decorative trim is 3 1/4" baseboard and 1 1/2" crown molding. 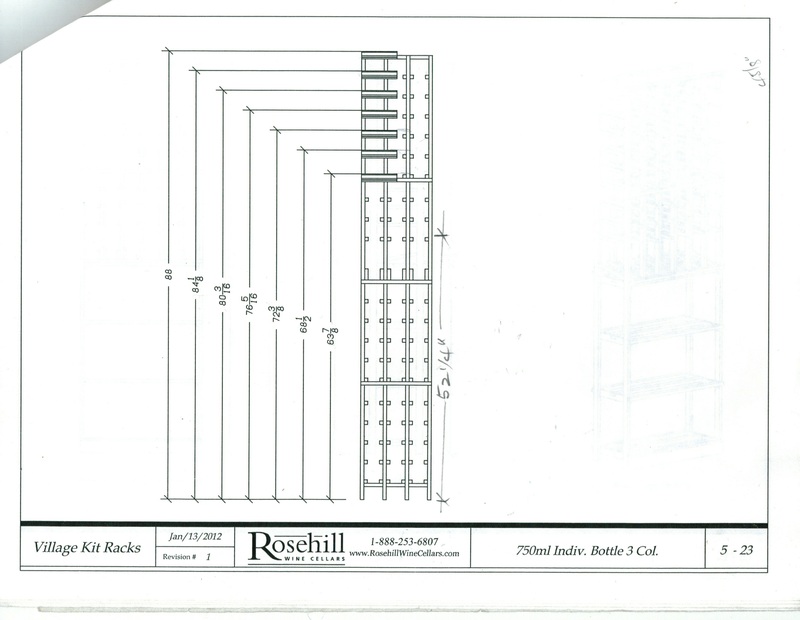 With your order, you will receive enough Crown & Base to cover front span of all racking and side returns for two ends. 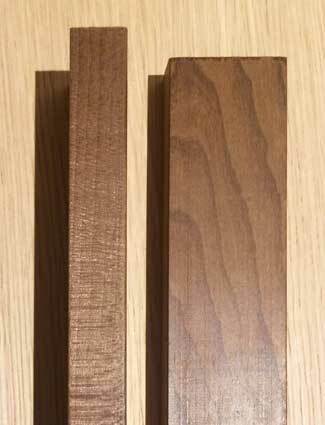 We ship our trim in long lengths to allow for the cleanest look upon install. If you prefer shorter lengths, cut to the size of each rack, please let us know. For most applications, however, you will want long lengths to avoid seems. Please also order extra trim if you feel it is needed. HEIGHT - The racks are 72 3/4", when crown molding is added the racks become 73 9/16". DEPTH - The racks are 13 1/2" deep. When crown moulding is applied, the depth at the top is 14 1/4". HEIGHT - The racks are 87 3/16", when crown molding is added the racks become 88". Shorter racks to complement the full height racks are available for both the 6ft and 7ft series. Sizes are indicated on the respective web pages. See our Kit Racking Gallery - many of the pictures in the gallery use the Premier Cru wine racks. 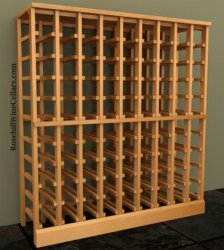 For a comparison of Premium wine rack kits, Modular California Redwood wine racks, and custom wine racks. Click here for information. If you would like a cooling unit as well shop our wine cellar cooling units. 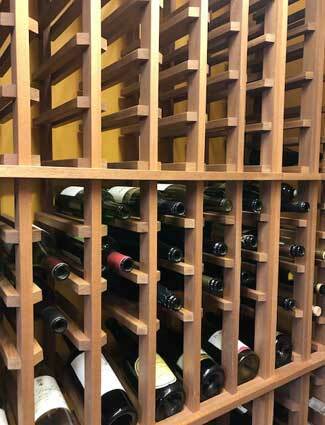 The superior Premier Cru wine racks are available for shipping throughout the USA and Canada. 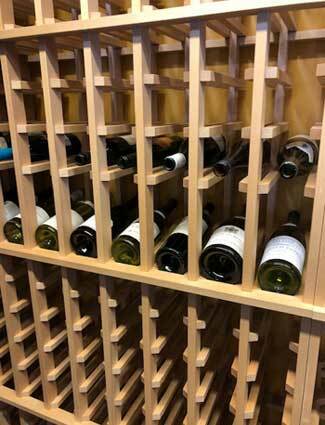 Available as both a 6' + or 7' +Wine Rack – Production of this superior quality wooden racking system is located in Mississauga, ON, Ontario, L4X 1K2, Canada but has been widely distributed throughout the United States of America. Please inquire about better shipping rate for 5 or more racks. Please email us with your zip code and let us know specifically which racks you are interested in, we can see if we can provide a better rate. Assembly required, please see manuals tab.